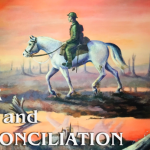 An exhibition to mark the centenary of the end of The Great War. 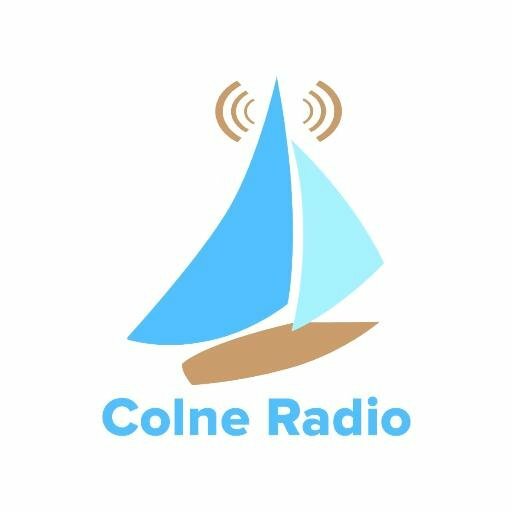 Annie Bielecka in conversation with Nat Young on Colne Radio (106.6FM) 2018/05/03. 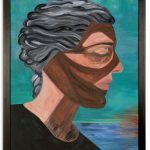 After featuring in the Cardiff Senned exhibition in late 2017, Annie’s painting ‘Bendith (Grace): The Suffering of Women in a Time of War’ returns to Wivenhoe this January, accompanied by a powerful text underlining its continued relevance today. An exhibition of new work including prints and textiles. This month Annie was interviewed by Valerie Nesbitt for crafts channel Justhands-on.TV. 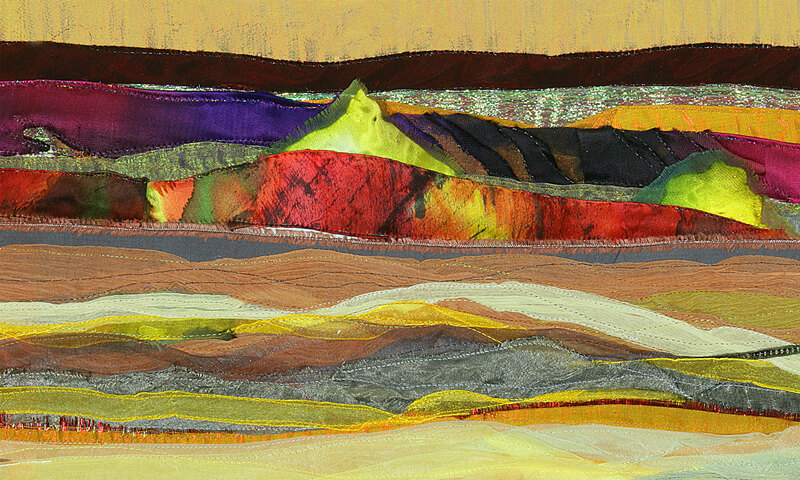 She talks about the landscapes of Wales and East Anglia as reflected in her textile work. 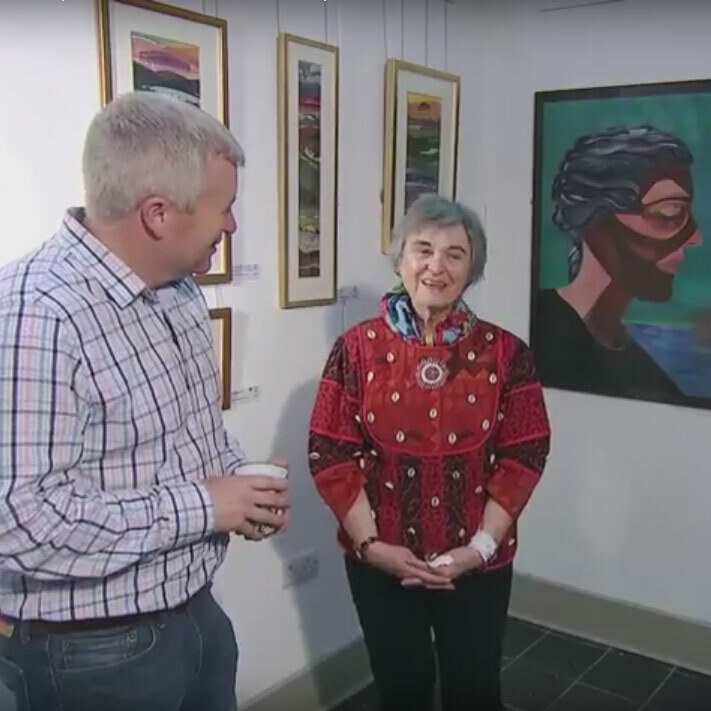 During the Caffi Oriel exhibition ‘Môr a Mynydd’ (Sea and Mountains) Annie gave this interview about her work for BBC S4C. 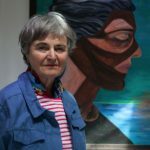 Annie’s painting ‘Bendith (Grace): The Suffering of Women in a Time of War’ featured in this new exhibition at the Welsh National Assembly. 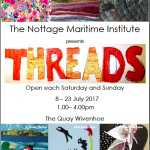 Exhibition at The Nottage Maritime Institute of textile work by Beth Atkinson, Annie Bielecka, Janet Harker, Eliza Kentridge, Lesley McCabe and Susan Rhodes. 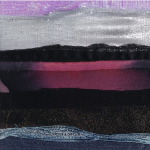 In 2017 the Caffi Oriel Gallery presented ‘Môr a Mynydd’ (‘Sea and Mountains’), an exhibition of textile work by Annie, inspired by the mountains of Snowdonia. An Exhibition of decorative textiles, sea and landscapes sponsored by Icelandic Air, with a catalogue designed by Catherine Dodds. 2018 September Colchester and Tendring Open Studios at the ACAVA Studios, The Old Maltings, Ardleigh. 2018 July Harwich Festival Essex Summer of Art, Old Bank Studios, Harwich. 2018 May/June ‘Land and Sea’ solo exhibition of prints and textiles at the Nottage Maritime Institute, Wivenhoe. 2017 8th August – 30th September ‘Women, War and Peace’ group exhibition and events programme at the Senned, Cardiff Bay. 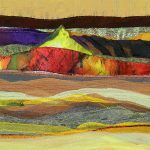 Group show of textile work: Beth Atkinson, Annie Bielecka, Janet Harker, Eliza Kentridge, Lesley McCabe and Susan Rhodes. London Cultural Olympics. “Norway” exhibitor. St.Martin in the Fields, Trafalgar Square. Mayoral Banner for Colchester Town Hall. 2010 – 2016 Colchester Art Society Open Exhibitions at the Minories and Firstsite. St. John the Divine Cathedral, Manhattan. St. Mary the Virgin Church, Wivenhoe. 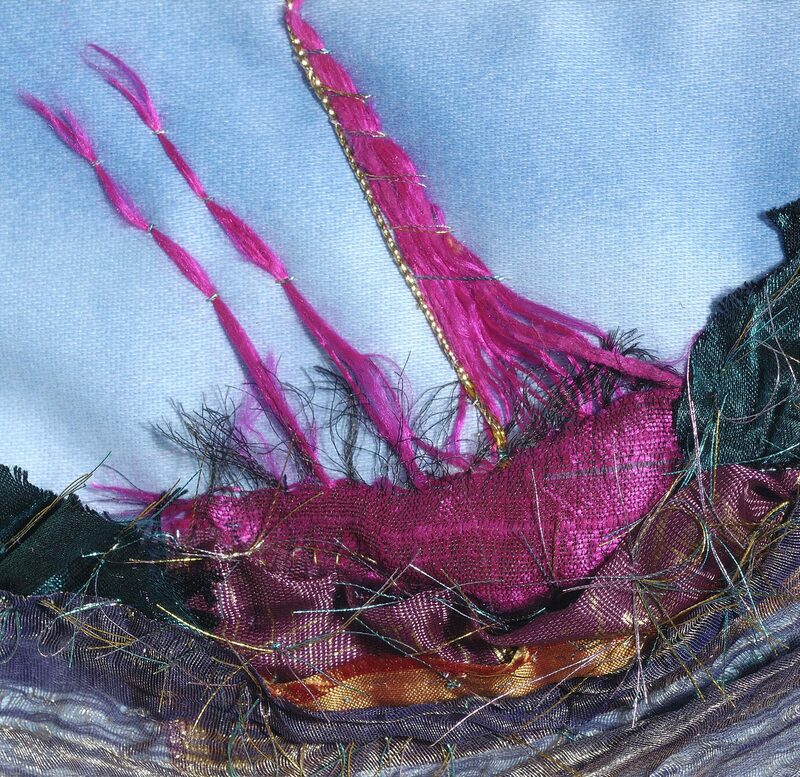 2007 Icelandic Arts Council invited as Visiting Artist working with textile Designer Sigrun Lara Shanko. 2005 “Story Tellers Tent” with Eliza Kentridge, Wivenhoe. 2003 “Shakespeare’s Women” Costume Design Exhibition (with Martyn Jezerski) at Mercury Theatre, Colchester. 2002 “The Brighter side of Life” art school group exhibition Ottowill Gallery, Suffolk. Michael Young Gallery, Yorkshire. 1999 “Mother Goose” Mercury Theatre, Colchester. 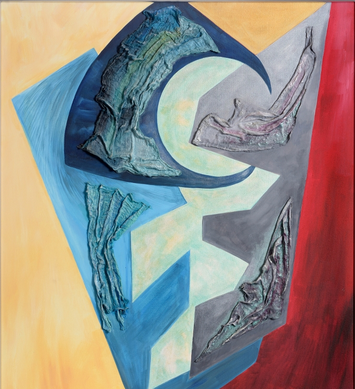 1998 “The Sea” and “All that Jazz” Digby Gallery/Hay Gallery, Colchester. I regularly participate in the annual autumn Colchester Open Studios. 2003 – 2016 Annual Over the Sofa Exhibition at Wivenhoe Bookshop. I show new work with the Colchester Art Society at the Minories and Firstsite Open Exhibitions.